If you know someone who has climbed their way out of debt, you probably want to ask them: what’s the secret? The truth is that there is no singular way to get out of debt. 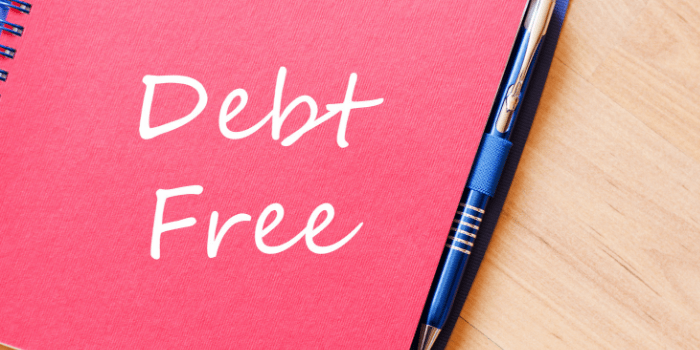 There are many different routes that someone who is struggling with debt can take to regain control over their finances, and some will end up costing more than others. Depending on the specifics of your debt, you might qualify for certain debt relief options that someone else you know struggling with debt wouldn’t consider. You can do some research and look up what methods of debt relief are out there, but on your own you will lack a lot of information that can help you know what to do. If you want to get more information and receive expert advice on the available options for debt relief, you need to consult with a Licensed Insolvency Trustee. These trustees, which were formerly known as bankruptcy trustees, can evaluate your debt situation and present you with your best options for a debt recovery plan. Only a bankruptcy trustee can file for certain forms of debt relief on your behalf like a consumer proposal or formal bankruptcy. It can surely be tempting to know that you could secure a loan that would give you the funds needed to pay of your debts all at once. If you’re already struggling with debt, however, is it really a wise decision to fix the problem with more debt? Even if you are pressed for time and this type of solution seems like the best course of action, the high interest rates on debt consolidation loans make this a very expensive way to recover your finances. Banks tend to avoid risky loans from individuals who are struggling with credit, which is incidentally the type of person who would seek this type of loan. As a result, those who need low-interest loans don’t qualify and they end up with potentially debilitating, high-interest loans. Bankruptcy has a bad public image thanks to popular culture where this type of debt relief may as well stand for “financial ruin.” In reality, bankruptcy is meant to help those Canadians who need to be released from their debt obligations. Bankruptcy applies to a person’s eligible debts that are outstanding at the time of filing. The insolvent will sometimes have to give up certain assets as a part of the arrangement, but this isn’t always the case. Your bankruptcy trustee can help you understand what you might lose in a bankruptcy and how the process could affect your lifestyle. If someone cannot repay their creditors in full but they have a stable and consistent source of income, then it’s possible to negotiate with your creditors. A consumer proposal is an offer made to creditors for the debtor to repay a portion of what is owed in regular payments over a fixed period of time (up to five years). Consumer proposals in Canada are often a good alternative to those who are considering bankruptcy but want to retain certain assets. If you’re worried about the severity of bankruptcy, then this could be the debt relief pathway for you.